CSX, the US rail provider, announced higher revenues and profits for the fourth quarter of 2018, describing a picture of reasonable demand growth. Revenue over the period was up 10% year-on-year whilst a lower cost base resulted in operating income rising by 25% year-on-year at US$1.25bn. Discussing the results, CSX laid emphasis on the potential of intermodal services, exploiting the difficulties of the trucking sector, notably in recruiting drivers. CSX’s intermodal operations have been troubled over the past year as the company has striven to overhaul what it called a “broken” model. Fixing this will open up a “growth engine” according to CSX. However, business from other types of customers was remarkably robust with revenues from the automotive sector up 10%, as was chemicals. Forest products climbed even more at 15%. CSX is of particular interest as it has pursued an aggressive business model designed by its former CEO Hunter Harrison, who died last year whilst still in his post. He championed the concept of ‘Precision Scheduled Railroading’ which focused on more efficient use of assets. This has been controversial amongst customers, who have seen the profile of services and charges change. However, shareholders have liked the returns. The sector has been watching to see if Mr Hunter’s replacement, James Foote, can sustain the momentum of his predecessor. This quarter’s results it suggests that that he can. Driving the cost base lower has been key to CSX’s strategy and the most recent numbers describe “fuel recovery, broad-based volume growth, pricing gains, higher supplemental revenue and favourable mix”. CSX struck a cautious note about future demand, predicting “low single digit revenue growth” for the year ahead although it also said it would be able to continue to control its cost base. The company is also probably right about the potential of the intermodal market. 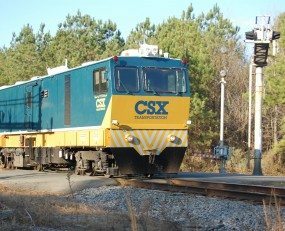 Whilst it is wise to be cautious about the ability of CSX to deliver a high-quality service within the cost constraints it sets itself, in the longer term it is also correct in identifying intermodal services as a driver of growth. The rail sector has been surprisingly agile at repositioning itself in changing markets and intermodal is probably an example of this.